The IEEE Electronics Packaging Award was established in 2002 (formerly CPMT Award). With over 40 years of pioneering work in modelling and reliability engineering, Ephraim Suhir has enabled electronic packaging engineers to accurately predict stress in advanced packaged components for the design of more reliable devices. He was one of the earliest researchers to introduce the use of rigorous mechanics principles in electronic systems. His closed-form solutions have provided the electronics industry with invaluable tools for ensuring reliability and cost savings during the design process by eliminating errors early in the design process. He has applied his techniques to advanced components and packaged structures such as microelectronics, photonics, photo-voltaics, and thermoelectronic modules. Every serious mechanics practitioner and researcher in the electronics packaging field has been influenced by Suhir’s groundbreaking contributions. “For contributions to electronic packaging from research and development through industrialization, and for his leadership in strategic roadmapping." William T. Chen is a visionary strategist, lead mentor for innovation, and hands-on engineer. His leadership has led to industrialization of game-changing packaging technologies by enabling miniaturization, cost reduction, and performance enhancements for today’s pervasive all-powerful electronic devices. They include development of copper wirebonds replacing gold interconnects, saving industry hundreds of millions of dollars a year and 2.5D packaging high-volume implementation, setting the standard for myriad interconnects in a small package space for applications including high-performance logic and memory. His strategic vision on fan-out wafer-level packaging is critical for meeting future demand for smaller, thinner, and faster electronic systems. Early in his career he pioneered the use of predictive verified modeling integrating micromechanics, materials science, and finite element crucial for generations of electronics products. An IEEE Life Fellow, Chen is an ASE Fellow and senior technical advisor with ASE Group, Inc., Sunnyvale, CA, USA. An IEEE Fellow, Ho is director of the Laboratory for Interconnect and Packaging at the University of Texas at Austin, Austin, TX, USA. Tu is the TSMC Chair Professor at National Chiao Tung University, Hsinchu, Taiwan. "For contributions to the materials science of packaging and its impact on reliability, specifically in the science of electromigration." "For visionary leadership in the development of physics-of-failure-based and prognostics-based approaches to electronic packaging reliability." A world leader in electronics packaging reliability, Michael Pecht, IEEE Fellow, has developed prediction tools that enable manufacturers to make their products safer and more operationally available. As an alternative to flawed handbook-based reliability prediction methods, Pecht developed the physics-of-failure (PoF) approach to electronics reliability. The PoF approach provides greater accuracy by taking into account the actual failure mechanisms of the device in the operating conditions that the device would likely face in the field. He also developed prognostics-based health assessment methods that have been adopted by industry to predict reliability for critical systems such as vehicle batteries, avionics, and alternative energy sources. Pecht also founded the Center for Advanced Life Cycle Engineering. "For contributions to the advancement of microelectronic packaging technology, manufacturing, and semiconductor ecosystems." One of the most influential people in the electronics board and substrate industry, Nasser Bozorg-Grayeli’s contributions have been integral to driving down component package size while incorporating more features and functionalities, enabling thinner and lighter devices. Among his many accomplishments, Dr. Bozorg-Grayeli developed Intel's first 6-inch wafer gold bumping and advance tape automated bonding packaging and manufacturing technology, which was an order of magnitude thinner than existing microprocessor packages. He led the industry’s transition of high-density packaging from ceramics to organics to reduce cost and continuously improve performance of products. He also was a champion of removing hazardous materials from packaging materials, making Intel the first company to eliminate lead in all its products. Dr. Bozorg-Grayeli is vice president of technology and manufacturing and director of the Corporate Quality Network with Intel Corporation, Tempe, Arizonia, USA. Avram Bar-Cohen has defined and guided the emergence of thermal packaging as a critical engineering domain, addressing the consequences of heat generation within ever-shrinking electronic components. He has laid the scientific foundations for the thermal management of electronic components with seminal research on air-cooled heat sinks and liquid cooling of logic and radio-frequency devices. Engineered thermal management devices and heat flow paths are necessitated by the consequences of heat generation within electronic components, as uncontrolled temperatures can cause degradation in performance and reliability of solid-state devices. Dr. Bar-Cohen’s work has formed the basis of thermal courses taught today and has driven advances in applications ranging from consumer electronics to super-computing platforms. He is also leading the way in the emerging area of embedded microfluidic cooling techniques. An IEEE Fellow, Dr. Bar-Cohen is a Distinguished University Professor of Mechanical Engineering at the University of Maryland, College Park. “For contributions to the literature in advanced solder materials, manufacturing for highly reliable electronic products, and education in advanced packaging." One of the most well-known authors in electronics packaging, John H. Lau’s leading-edge research has driven reliability improvements and advancements with his extensive research on solder-joint reliability, environmentally friendly solder alternatives, and advanced interconnect techniques. Dr. Lau led an international team to study solder-joint reliability issues and published the first book on the subject in 1991. He published additional influential research addressing reliability in lead-free solder processes and advanced interconnect methods such as flip-chip technology. Dr. Lau has influenced the adoption of lead-free solder processes as the industry shifts to more environmentally friendly interconnect methods, publishing a book providing manufacturing guidelines and parameters in 2003. He was also responsible for converting Agilent Technologies’ entire product line to lead-free. Dr. Lau’s recent work has provided extensive publications on advanced interconnect methods that have helped shape the landscape of 3D integrated-circuit integration technologies. An IEEE Fellow, Dr. Lau is an ITRI Fellow with the Industrial Technology Research Institute, Hsinchu, Taiwan. Mauro J Walker’s contributions to advancing electronics manufacturing technology helped place Motorola and the United States as leading high volume manufacturers of portable electronic devices. Mr. Walker’s leadership during the 1970s and 1980s drove the advanced technology necessary for miniaturization of portable communications such as pagers, two-way radios, and cell phones. At a time when the U.S. electronics industry was lagging Japan, Walker raised Motorola’s in-house microelectronics capabilities for packaging and assembly of semiconductor devices, propelling it to an industry leader. He established advanced manufacturing technology centers within Motorola, producing many innovations including high-speed surfacemount chip assembly. Mr. Walker was the founding chairman of the National Electronic Manufacturing Initiative (NEMI), representing over 60 electronic equipment manufacturers to improve the competitiveness of North American electronics manufacturing companies. With Walker’s vision, NEMI went international (now known as iNEMI) as the only global organization integrating the roadmap needs for all major technologies required for electronics manufacturing. An IEEE Life Fellow, Mr. Walker retired from Motorola, Inc. in 1998 as senior vice president and director of manufacturing. Rao R. Tummala is being recognized as the father of modern packaging innovations that have revolutionized the microelectronics packaging. Tummala’s pioneering inventions include the industry’s first plasma display and the first ceramic and thinfilm multichip packaging.. He is regarded as the father of Low-Temperature, Co-fired Ceramic (LTCC) technology, an industry standard , and the father of Systems- on- Package (SOP) concept as Moore’s Law for system integration. His leadership made packaging an academic subject. He was instrumental in the establishment of the first National Packaging Research Center in US for leading-edge research, cross-disciplinary education and global industry collaborations. He has authored the first reference,first undergraduate and first graduate textbook that shaped the modern packaging landscape. An IEEE Fellow, Dr. Tummala is an endowed chair professor and director of the 3D Systems Packaging Research Center at the Georgia Institute of Technology, Atlanta, Ga.
Herbert Reichl was one of the first researchers to foresee the importance of microelectronics packaging in bridging the gap between research and applications. His pioneering work on heterogeneous integration, three-dimensional packaging, and embedded passive and active components set the path for future microelectronics, enabling applications ranging from mobile phones to wearable sensors. As founding director of Germany’s Fraunhofer Institute for Reliability and Microintegration (IZM), Dr. Reichl has led many integration strategies and shepherded their transfer to commercialization. The exciting concept of electronic grains (or eGrains) is just one example. Functioning as tiny electronic sensors that can receive, process and store information, eGrains are very small, autonomous modules that can communicate with each other wirelessly, enabling “smart” devices. An IEEE Fellow, Dr. Reichl is currently a professor at the Technical University of Berlin, Germany, and continues to mentor generations of students and research staff in the area of R&D. George G. Harman’s career has been dedicated to understanding, standardizing and improving wire bond technology. His contributions toward transforming a labor-intensive, manual and sometimes unreliable procedure into an automated, reliable process have enabled wire bonding to become the standard for semiconductor interconnections. Harman developed a 60- to 120-kHz floating-cone capacitor microphone system to plot the ultrasonic vibration modes of bonding tools when the Poseidon strategic missile was experiencing unpredictable wire bond reliability problems. The results of this work were applied toward improving process control and measurement methods and to yield a better understanding of other problems in the ultrasonic bonding machines/processes. He started the ASTM F-01.07 Committee to standardize wire bond testing methods and was responsible for updating these standards in 2006. He also wrote the first version of the nondestructive bond pull test used for MIL-STD-833, which is currently required for most critical space parts used by NASA. He holds four patents and has won numerous awards. An IEEE Life Fellow, Mr. Harman is currently an NIST Scientist Emeritus and consultant. 2008 - Karl Puttlitz, Sr. The collaborative work of Karl J. Puttlitz and Paul A. Totta led to the introduction of flip chip interconnection technology, a breakthrough in semiconductor assembly and packaging that has enabled electronic device manufacturers to deliver smaller, more powerful and more reliable products. Dr. Puttlitz and Mr. Totta were instrumental in championing the method whereby tiny solder bumps covering the face of a chip are directly reflowed to the circuitry. This was achieved by flipping the chip over so the bumps are soldered to mating circuit pads, hence the term “flip chip.” This direct connection technique reduces the footprint of an individual component by up to 95 percent compared to the wire bonding method. In addition, the elimination of bond wires improves performance, offers greater input/output connection flexibility, improves ruggedness, and reduces the manufacturing costs of electronic devices such as personal computers and mobile phones. Dr. Puttlitz is president of Puttlitz Engineering Consultancy, LLC, a company he founded in 2004. Previously, he held numerous engineering positions during a 43-year career at IBM, where he was awarded an IBM Outstanding Innovation Award and the Master Inventor Award for his work on flip chips. An IEEE Fellow, he earned his bachelor’s and master’s of science degrees in metallurgical engineering and a doctorate in metallurgy / materials science engineering from Michigan State University, East Lansing, Mich.
Mr. Totta retired from IBM in 1999 following a 40-year career that included both engineering and management positions. An IBM Fellow from 1987–1999, he was elected to the technical council of IBM’s Academy of Technology. In addition, he received three IBM corporate level awards for outstanding patents and contributions. He was also presented the IMAPS Wagonon and the Fraunhofer IZM awards for his flip chip contributions. He earned a bachelor’s of science degree in metallurgical engineering from Rensselaer Polytechnic Institute, Troy, N.Y.
Dimitry Grabbe played an integral part in advancing U.S. space exploration. His pioneering work has produced nearly 500 U.S. and foreign patents covering machine design, semiconductor packaging, electronics assembly and optoelectronic connector design. His work in printed circuit board technology for electronic packaging led to the development of large, multi-layer printed circuit boards. This proved crucial in helping U.S. astronauts gain greater real-time control of their space-exploration activities. In 1964, Mr. Grabbe founded the Maine Research Corporation which specialized in high-end printed circuit boards; the company was dissolved in 1972. He joined AMP, Inc. in 1973, and helped it become a world leader in electrical/electronic connector technology, test socket technology and miniature semiconductor packages. Today, Mr. Grabbe is assisting Dr. Pryputniewicz, professor of mechanical engineering and founding director of the center for holographic studies and laser micro-mechaTronics (CHSLT) at Worcester Polytechnic Institute (WPI) in Worcester, Mass. with research on gyroscopes and accelorometers. An IEEE Life Fellow, Mr. Grabbe has also been recognized by AMP (now part of Tyco Electronics) with a Lifetime Achievement Award, and by the American Society of Mechnical Engineers, which chose him for its Leonardo da Vinci Award. "For contributions in advanced polymeric materials science and processes for highly reliable electronic packages." "For pioneering contributions in micro-via technology for printed circuit boards, and for extending the feasibility of the direct flip-chip attachment process." Mr. Yutaka Tsukada, managing director of the Advanced Packaging Laboratory at Kyocera SLC Technologies Corporation in Shiga-Kan, Japan and formerly with IBM Japan, revolutionized printed circuit board (PCB) packaging and made it possible to bond chips onto low-cost PCBs. Radically changing the structure of PCBs, Mr. Tsukada pioneered the development of build-up PCB micro-vias and developed a solution for underfill, reinforced flip-chip bonding. This allowed a single, build-up layer to replace as many as four layers of conventional PCB wiring at a lower cost. These technologies are used in most PCB applications, including cellular telephones, PC processors, digital signal processors, digital cameras and workstation components. An IEEE Member, Mr. Tsukada served as vice president of the Japan Institute of Electronic Packaging. An IBM Fellow, his other honors include the IBM Outstanding Technical Achievement Award and the IEEE Components,Packaging and Manufacturing Technology Society?s Presidents Award. During his almost 40-year tenure at Bell Telephone Laboratories and Western Electric Company in both the Princeton, New Jersey and Winston-Salem, North Carolina facilities, John W. (Jack) Balde contributed significantly in the areas of tantalum film hybrids, under carpet cable technology, and the introduction of advanced interconnect technology to the Bell System. Under carpet cable technology later became a major product line for Thomas & Betts Corporation in Memphis, Tennessee. A pioneering promoter of industry synergy, Mr. Balde spearheaded the globalization of multichip module (MCM) and advanced interconnect technology, most notably through founding the Denver MCM Conference in 1990, his Advanced Technology Workshops for the International Microelectronics and Packaging Society (IMAPS), his leadership of the IEEE Computer and the IEEE Components, Packaging and Manufacturing Technology (CPMT) Societies’ joint Technical Committee on Systems Packaging (TCCP), and numerous publications. As surface mount technology began to emerge, Mr. Balde initiated a multi-company task group effort that was instrumental in the adoption of compliant lead packaging. His work with regard to non-hermetic packaged semiconductor devices resulted in the “use COTS (commercial-off-the-shelf) not custom parts” drives by the U.S. Departments of Defense and Energy; cost savings at Sandia National Laboratories alone are estimated at $1 million per year. Born on 4 March 1923 in Brooklyn, New York, John W. Balde earned a bachelor of electrical engineering degree from Rensselaer Polytechnic Institute in Troy, New York, in 1943. He joined Western Electric in 1943 and served as research leader at Bell Laboratories and Western Electric from 1946 to 1980. 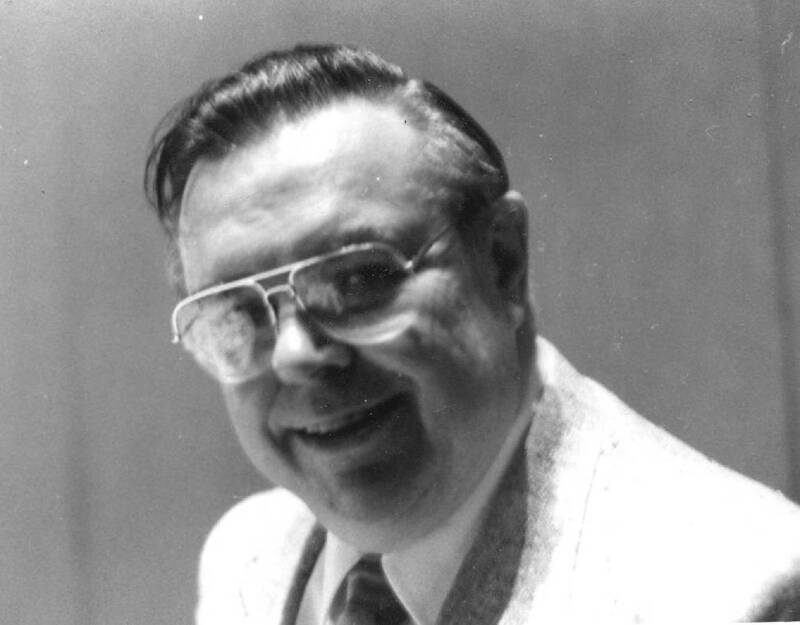 In 1981, he founded Interconnection Decision Consulting in Flemington, New Jersey, where he was a senior consultant at the time of his passing on 8 September 2003. An IEEE Life Fellow and a Fellow and Life Member of IMAPS, Mr. Balde wrote 130 technical articles, published a number of IEEE and IMAPS books--including the IEEE bestseller Multichip Modules--and held 16 patents. His awards include the IEEE Third Millennium Medal, the International Packaging Consortium’s President’s Award, the IMAPS Hughes Award for excellence in electronic packaging and the IMAPS/IEEE Founders joint award for establishing the Denver MCM Conference. Mr. Balde was the chairman of several task forces on chip carriers and corrosion protection of silicon circuits. During his tenure on the TCCP, he led the establishment of international workshops that remain a cornerstone of both the IEEE Computer and IEEE EPS Societies’ technical activities.